Denver Nuggets forward Kenneth Faried may have a hard time making the All-Star team in a loaded Western Conference, but he's doing a fine job recruiting new fans this offseason. 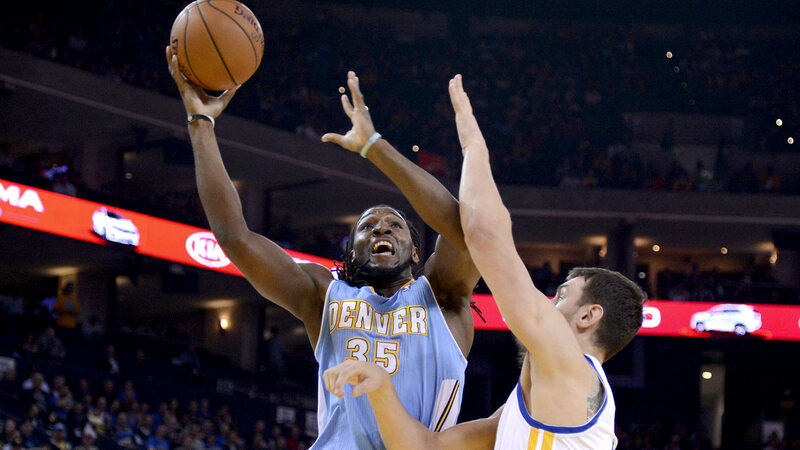 Faried is one of the many NBA players to serve as an ambassador for the league this offseason. The 6-foot-8 forward traveled to the Philippines, but didn't see a whole lot of Faried jerseys floating around. In the Philippines, Faried said that he hadn’t seen a ton of people wearing Nuggets jerseys, but had noticed Nuggets hats and accessories. “But not my jersey — I’m not that big of a name,” he said. He echoed other players’ enthusiasm for how excited and knowledgeable fans seemed to be about the game itself and said the only thing he really had planned for the trip was to interact more with them.